Beauty & the Beast is one of my all-time favorite Disney movies. I actually did my high school French class project on it, translating the song “Tale as Old as Time” into French. I still can’t hear the song without “belle et la bête” running through my head. Last week we celebrated Christmas in July with make-ahead Christmas projects, like my DIY Christmas coasters. This week we’re continuing the party with holiday-inspired sweet treats and I have adorable Snowman Ice Cream Cone Cupcakes to share with you. Austin has requested a cookie cake for his birthday for as long as I can remember. So when he returned home from paratrooper school just in time to celebrate his 20th, I knew I wanted to make my cookie cake recipe for him. This pumpkin spice buttercream frosting recipe is sponsored by International Delight. All thoughts and words are my own. Over the past couple of weeks, we’ve really been enjoying the onset of fall and all the things that go with that. 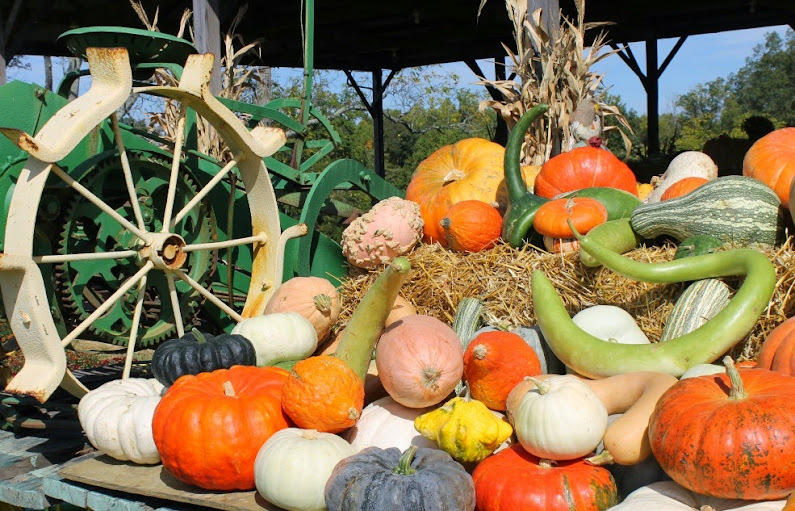 Corn mazes and pumpkin patches, football, and sampling all the flavors of fall.